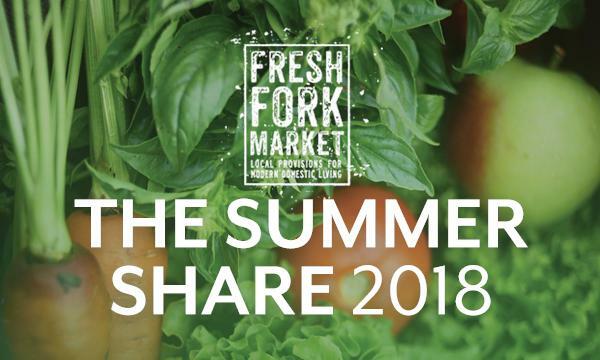 Welcome to the Summer Share 2018! 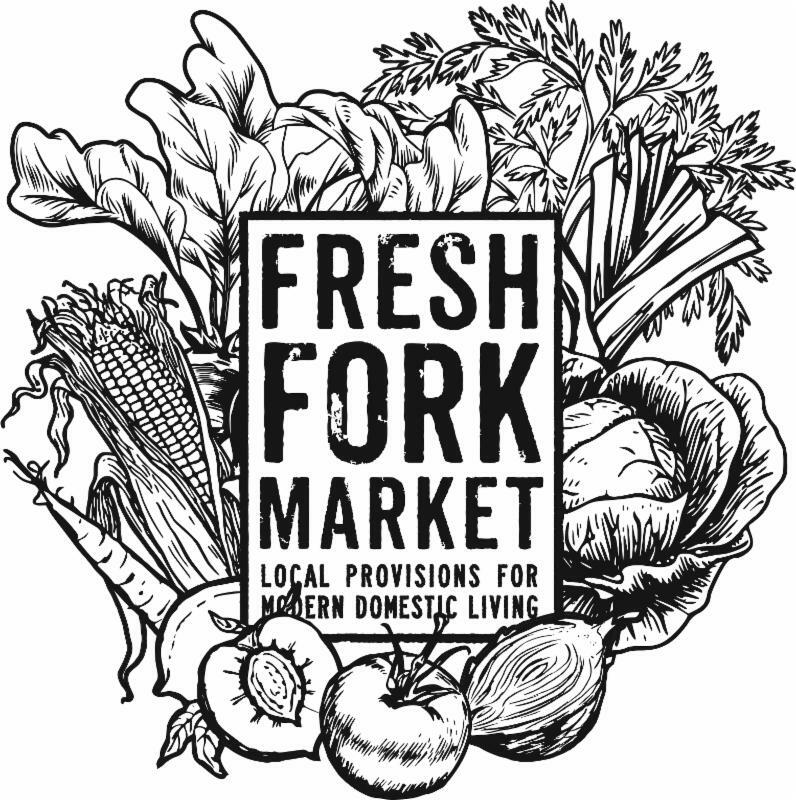 We're so excited to have you all along for this share: 22 weeks of delicious, locally-grown food. We have lots of business to get to in this first newsletter-- including the bag contents for your first week!--but we wanted to start off by saying Welcome or Welcome back. If you're a returning member, please remember to bring your bag along this week. If you're new, you'll get your first bag when you pick up. Call us to charge a CC over the phone, 800-861-8582, 9am-2pm, Mon. - Fri. Okay, now that's out of the way-- let's get to the fun stuff. If you know anyone who still wants to sign up, it's not too late! Anyone can join at any point, and if it's after the first week we'll just pro-rate the share for the weeks they'll be a member. We've ordered 50 extra shares for this week , so tell your friends to sign up and claim their share! A picture from Wholesome Valley Farm, down in Wilmot, Ohio, taken last weekend. 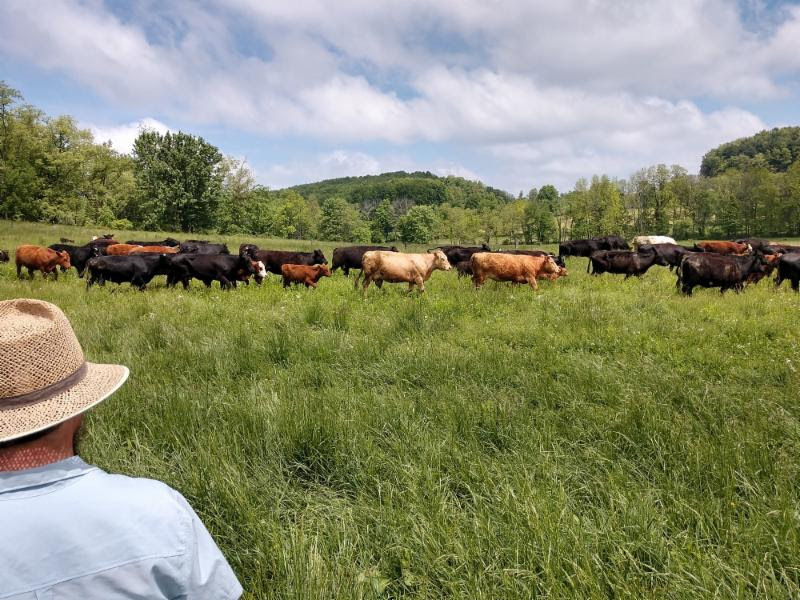 Much of our meat and produce is raised on this idyllic 200-acre farm about 65 miles outside of Cleveland. To read weekly updates from Wholesome Valley, get on their newsletter list by clicking here . 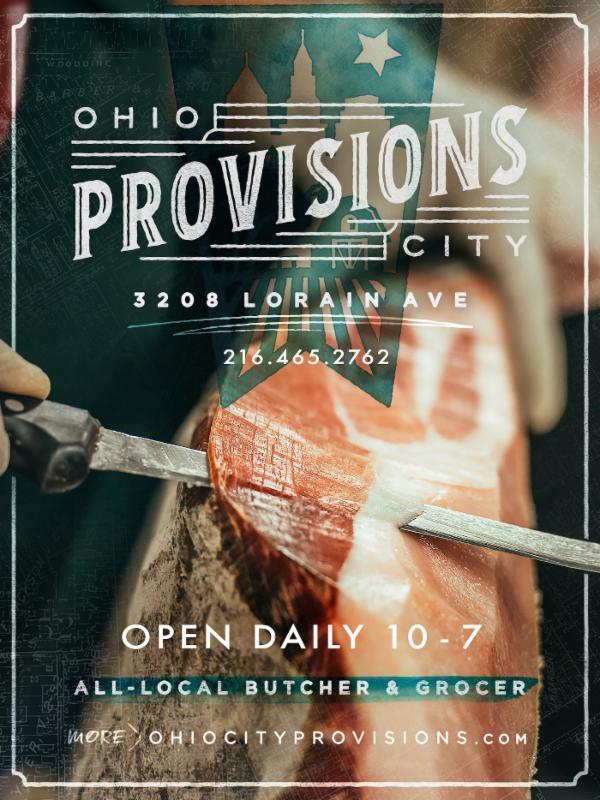 The third wing of our little family of companies is our Butcher Shop-- Ohio City Provisions-- voted the best butcher shop in the city two years in a row. Click here to subscribe to Trevor & Adam's thoughts in the Ohio City Provisions' newsletter. They're open daily, from 10-7 at 3208 Lorain Avenue. We've got lots of delicious items coming in your shares this week. Here is a little overview of this week, and if you keep reading you'll get to the list of what's coming in each share (no share gets all of these items.) At the very bottom of the newsletter are a bunch of recipes to help you prepare your share-- make sure to follow us on Pinterest to see the thousands of recipes we have collected over the years! Asparagus : one of the first pops of green to appear-- true harbingers of summer's arrival! They require only the lightest touch when cooking-- steam or blanch and toss in a vinegar-based dressing and enjoy. They pair well with poached eggs, strawberries or sausage. Bunching garlic with tender green stems : If you've only ever shopped at the grocery store for your food, you might be totally unfamiliar with the earlier growing stages of garlic, like scapes or greens. Spring garlic has a tender, savory stalk-- mince it up and use it like a green onion. The bulb is very flavorful too, and less potent than later season garlic. Mince and add to olive oil and fresh herbs and rub it all over your chicken or broccoli before roasting. Hydroponic lettuce : green-house grown lettuce from Green City Growers. Use the most perishable items in your bags first, and this is it! Kale : you know it, you love it, and it's really good for you. Hold the leaf in your hand, stem end up, and slide off the leaves with your hand or a knife. Chop them up finely, or better yet, take this tip from The Raw Trainer -- using the widest shredding blade on your food processor, pass it through the tube to make instant slaw. Massage in some salt and vinegar, or a little dressing, and let sit for a few hours in the fridge. 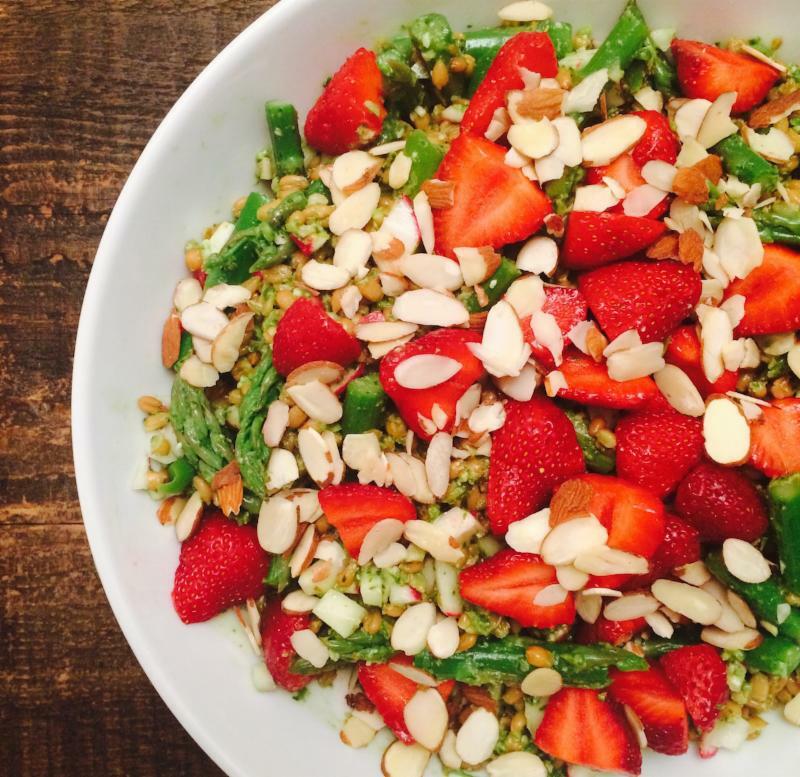 Top with cheese, nuts & fruit (or blanched asparagus & strawberries!) for a delicious salad. Spelt Berries : swap into any recipe that calls for farro or wheat berries. Spelt berries do contain gluten, so please let your greeter know if you have an allergy. Makes delicious risotto, a hearty addition to a salad, or a warm breakfast cereal. Click here to read " Spelt Berry Basics ." Need some more recipe ideas? 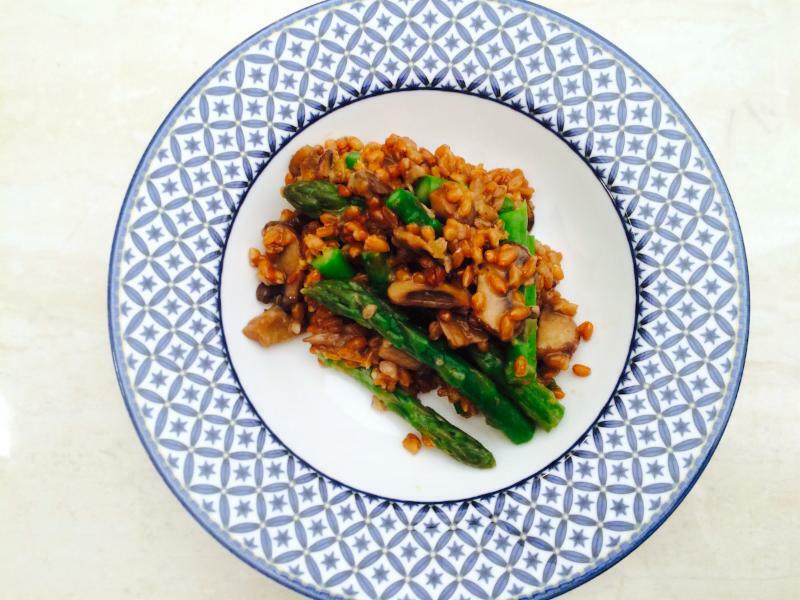 Check out our Pinterest board, " Great Grains ". As with all of our flours and grains, please store in fridge or freezer. Drinkable Guernsey Yogurt (pint) : perfect post-workout or post-school snack! Delicious, creamy whole milk Guernsey yogurt, blended up with berries and yogurt. Whole chicken : A whole chicken is not only the most economical way to cook chicken, but our pasture-raised chickens are so flavorful, that you're going to want to have the whole thing! And save the carcass and bones for stock afterwards. 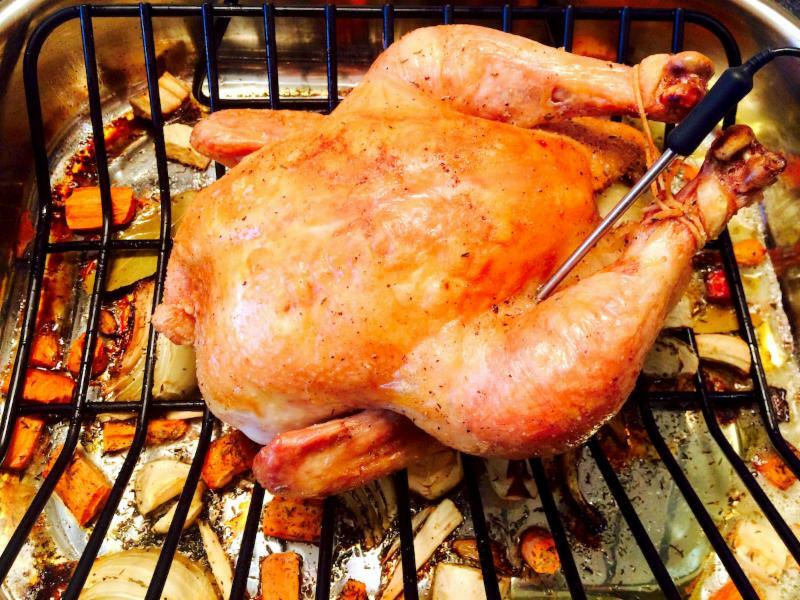 If you're new to cooking a whole bird, click here for our tutorial and recipes. Dozen eggs : Farm-fresh eggs from pasture-raised hens raised at Wholesome Valley Farm. Broccoli : kid-approved, versatile veggie. Chop the florets into smaller pieces and steam, toss with a little butter or oil and salt and you're done! The stalk is also super sweet and very edible, so don't toss it: peel away the thick, light green outer skin and steam along with the florets, or just snack on it like a carrot stick with hummus. 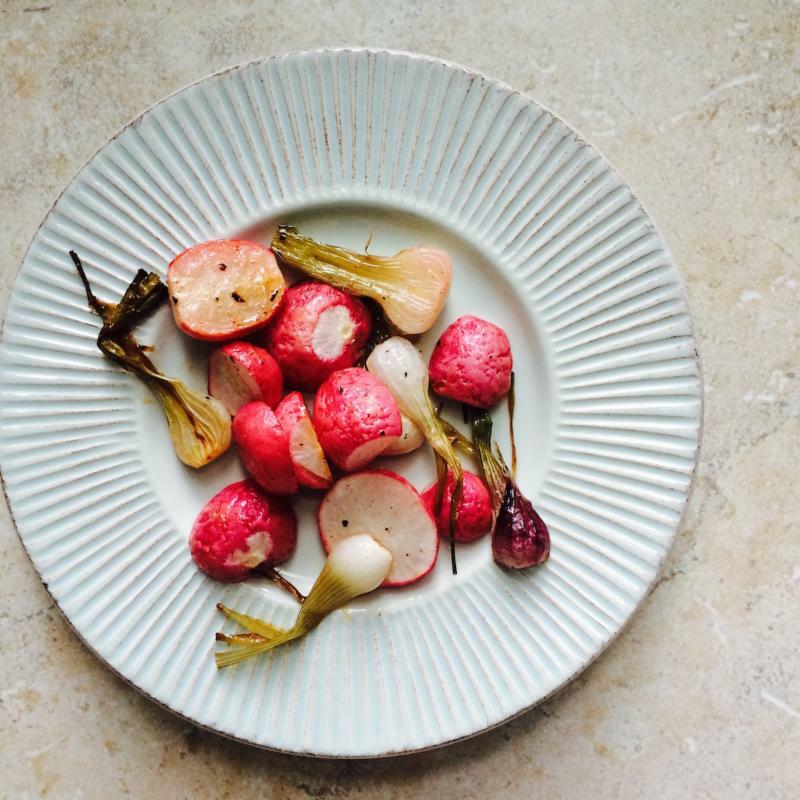 Radishes : Bright pink and white bulbs of radishes coming your way! Thinly slice and serve with cold salted butter and a pinch of flaky salt on toasted bread for a simple lunch. Or if you're not that fond of their peppery bite, slice in half and toss with honey and salt and roast till softened. Rhubarb : the bright red & pink stalks of this plant make a tart and tasty dessert or sauce-- just don't eat the toxic leaves if there are any remnants still intact. Chop into pieces and let sit in some sugar in a metal pan for a few minutes. Add the heat and cook down. To balance the tart flavor, add in a sweet fruit like chopped strawberries or raspberries. 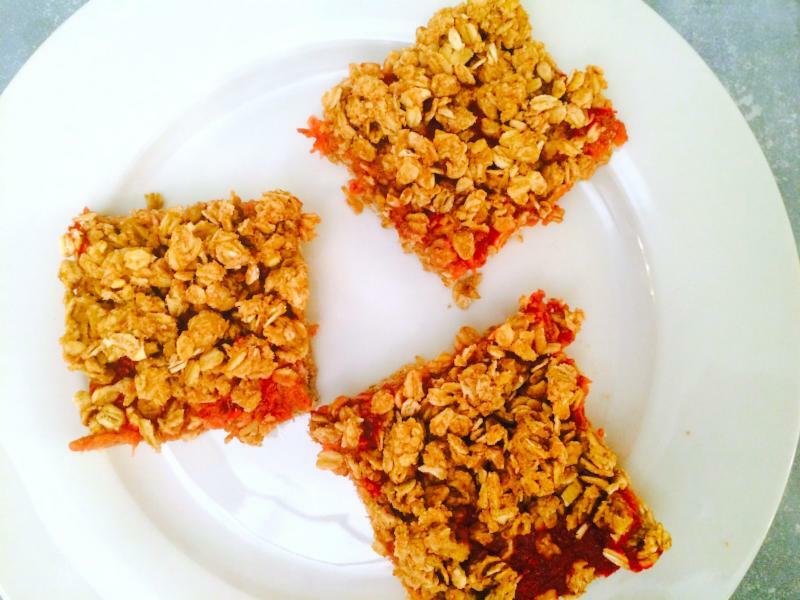 Delicious baked into muffins or bars, or spooned into your oatmeal. 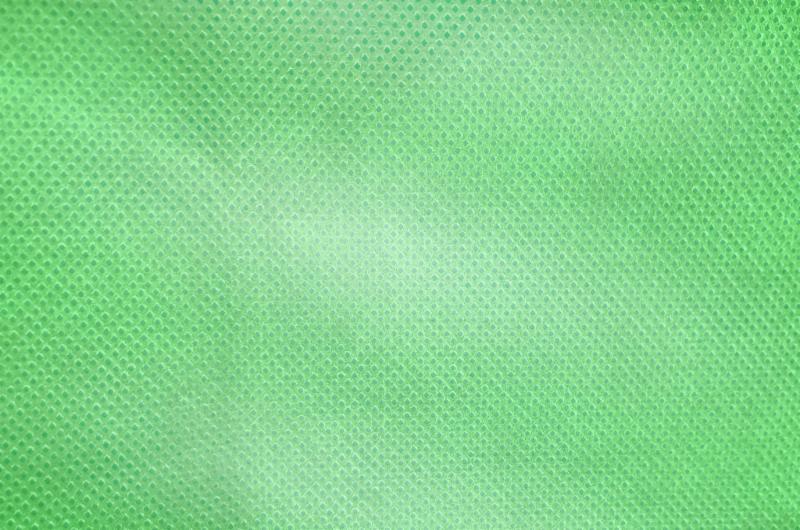 Asian Greens (sleeve) : if this is coming in your share (Vegetarians & Vegans), you'll see a mixed sleeve of crunchy asian greens like tatsoi, bok choy and mustard greens. They provide a great texture to salads or a bit of green to stir fry dishes. Kielbasa : 4 juicy links of smoked pork sausage with spices. All our smoked sausages are fully cured in the smoker, so they just require reheating through-- bring up to temp either by poaching in water or allowing to thaw in the fridge before popping on the grill. Canned Peaches : 1 quart of peeled and sliced locally-grown peaches, canned in honey & water. Refrigerate when opened. Sharp cheddar: an 8 oz. piece of sharp, white cheddar from Middlefield Creamery. Great for snacks, cheeseboards, or sliced onto the summer's first burgers. Sauerkraut : 1 quart of raw, fermented sauerkraut-- just organic green cabbage and salt. This is a living product, so store in the fridge and open the lid occasionally to allow some pressure to release. For the most gut-healthy-bacteria benefits, enjoy cold straight from the jar. And a reminder, just like the weather, our bag contents are subject to change . As of right now, this is what we're planning on having, but stuff happens: issues with weather, harvest, transportation or communication with our Amish farmers can all get in the way of our plans for the week. But don't worry-- if we don't have something we planned on, we'll always have a substitution, and it should be listed on the bag contents sheet displayed at the greeter table. Special Orders need to be placed & paid for in full by Tuesday at midnight to come out on this week's routes. Click here for a how-to . Vacation Weeks must be registered by Saturday the week before you're taking off-- which means if you are on vacation this week, you had it logged in your account by Saturday May 26th. ﻿If you missed the window, best bet is to send a friend or neighbor to get your bag for you. They can pick it up from any stop that's the most convenient for them-- we just need the name and/or email address on the account. For more information on vacation weeks, click here . Our Golden Guernsey Milk comes from our entirely Guernsey A2-A2 herd down at Paint Valley Creamery. 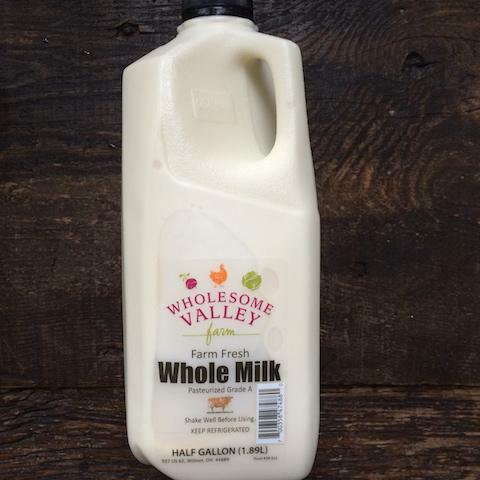 We have had members over the years say that the milk is the reason they are Fresh Forkers-- it is that good! Price is $3.75 per half gallon, or buy a full case (4 half gallons) for $14.